Like many noblewomen, Caterina Cornaro was destined to be a pawn in a power struggle. She was married to King James of Cyprus in 1473. Within a few months, Caterina’s husband and infant son were dead. Now the sovereign queen of Cyprus, she became the object of various conspiracies as Venice and Spain vied for control of the island. 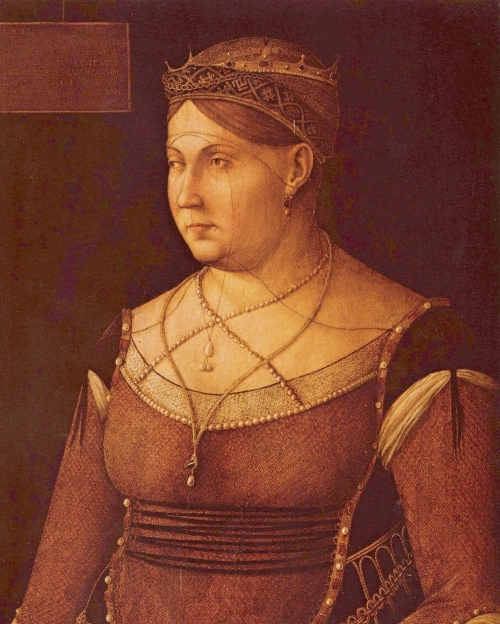 Her life as a figurehead queen came to an end in 1489, when, under pressure by the Venetians, Caterina agreed to abdicate in exchange for a sizeable pension and a sumptuous estate in Asolo, outside Venice.